Is Sun Valley All About the Guest List? Robert Doll, chief equity strategist at Nuveen Asset Management, talks about the U.S. economy, financial markets and corporate earnings. 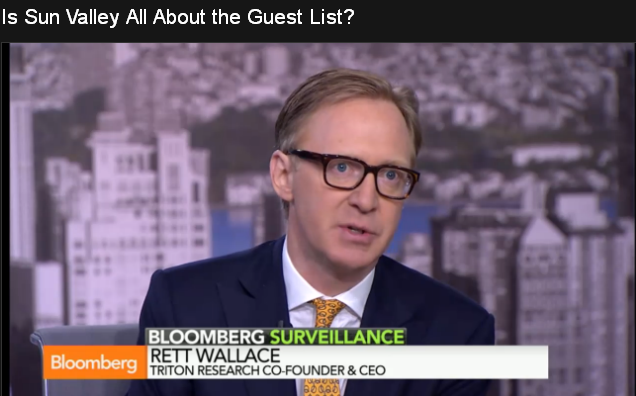 He speaks with Adam Johnson, Scarlet Fu and Brendan Greeley on Bloomberg Television’s “Surveillance.” Triton Research’s Rett Wallace also speaks.